"Beware of the dark side. Anger… fear… aggression… The dark side of the Force are they." Darth Vader is everywhere in Imperial Assault right now— Driven by Hatred to hunt down and destroy all who would oppose him in the skirmish game. That means as we approach the year's second season of Organized Play, you can expect to be tempted by the dark side… but will you succumb to the temptation? As Yoda counseled Luke, the dark side isn't necessarily stronger than the light side, but it can be quicker, easier, and more seductive. The Rebels have their heroes, too. Luke Skywalker, Jedi Knight is still capable of astonishing feats, and Han Solo has lately proven himself far more than just a Rogue Smuggler . Even so, it is Darth Vader who has most clearly and directly made his mark in the Organized Play community, rampaging from table to table and cutting down foes with his lightsaber and his Force Choke ability. 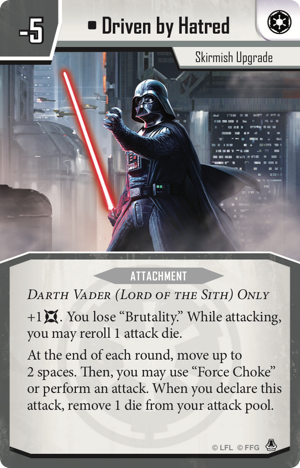 Accordingly, the 2018 Star Wars™: Imperial Assault Season Two Kit acknowledges the Sith Lord's uncontrollable fury with custom prizes that include an alternate art version of Driven by Hatred. Each 2018 Star Wars: Imperial Assault Season Two Kit comes with prizes to support up to sixteen players, as well as an event outline that provides your event organizer with everything that he or she needs to know in order to run an Entanglement tournament. By incentivizing your victories with extra rewards, an Entanglement tournament elevates your Imperial Assault skirmishes, coloring them with more of the themes and tensions of the Galactic Civil War. You have more reason to defeat your opponent's Stormtroopers and avoid the Hunters looking to collect the bounty on Han's head. There's a touch more pressure to score as many objective points as you can and to battle for every terminal and Command card. Still, each Entanglement tournament is meant to be welcoming to a wide range of players, and you don't have to reach the top tables to walk away with prizes. Prizes are awarded to everyone in the Top 16, with additional Elite Prize Cards and Elite Prize Items available to the Top 4. 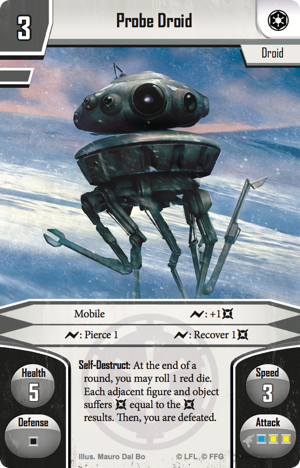 Your search for victory begins with the alternate-art, double-sided Probe Droid deployment card. Standard on one side, elite on the other. 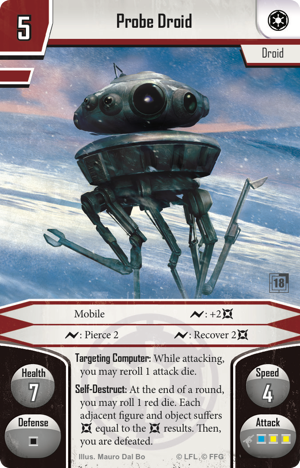 There are seventeen copies of this alternate-art Probe Droid in the 2018 Season Two Kit, sixteen of which are to be awarded to the Top 16 participants. The seventeenth copy is reserved for the event organizer, who can keep it or distribute it at his or her discretion. Fight your way into the Top 4 at a 2018 Season Two Entanglement tournament, and you may earn a fearsome reputation to rival even that of the Dark Lord of the Sith, Darth Vader. For your efforts, you might choose to claim as your prize the kit's alternate art Driven by Hatred skirmish upgrade. 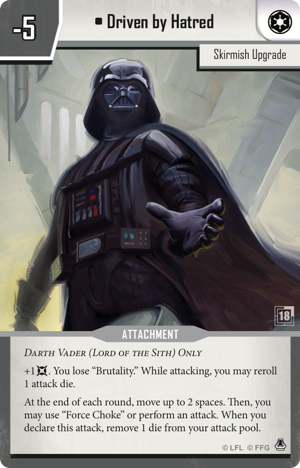 The card that has seen Vader leave his meditation chamber and wade into battle on the front lines, Driven by Hatred is a meta-defining skirmish upgrade, and this version puts any onlooker straight into the center of Vader's gaze as he closes his fingers and uses the Force to choke the life out of his target. 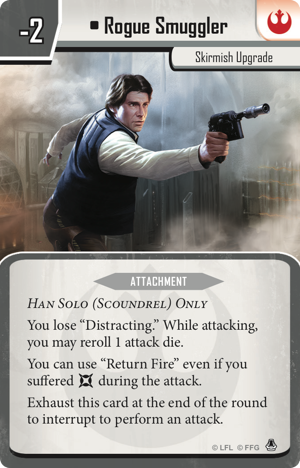 Ultimately, to win a skirmish in Imperial Assault, you'll need to deal your opponent some damage. But even better than seeing your attack deal damage is hitting your target with a bleeding wound. Conditions play a significant role in Imperial Assault. Beneficial conditions like Focus can make the difference between dealing a flesh wound and a mortal wound, and negative conditions like Bleed can cripple your opponent's units and trash their plans. A Bleeding wound forces your opponent's figure to squander an action to tend to the wound, or the figure will continue to suffer a point of strain for each action it takes that doesn't tend to the wound. Tend to the wound, and you lose a valuable action. Ignore the wound, and you might see the best parts of your Command deck discarded to no effect. There's no doubt that such wounds put players in difficult situations, and the custom Bleed tokens in the 2018 Season Two Kit can help keep the matter firmly in your mind. You'll want to understand the impact of the game's conditions if you hope to make the Top 4 at an Entanglement tournament and claim a set of five of these white acrylic tokens, painted with purple. And then your understanding of the condition will prove helpful whenever you assign the token to your opponent's figure or have to deal with it on your own. Give into temptation. Give into your hatred, and let it make you strong. 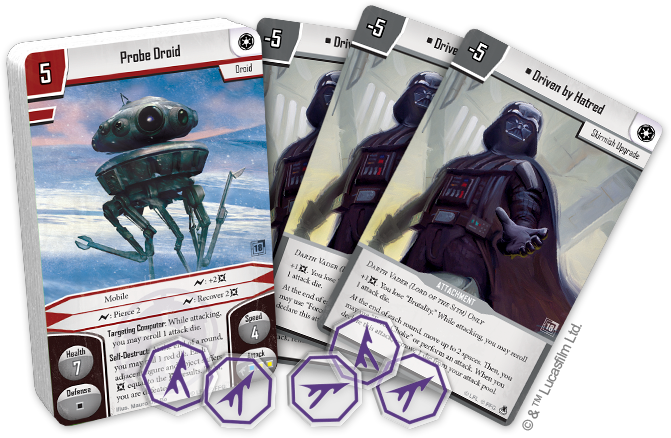 Play for fun, and compete for double-sided Probe Droids, custom Bleed tokens, and an alternate-art copy of the meta-defining skirmish upgrade, Driven by Hatred! Talk to your favorite local game store today about their participation in 2018 Season Two Organized Play for Imperial Assault!